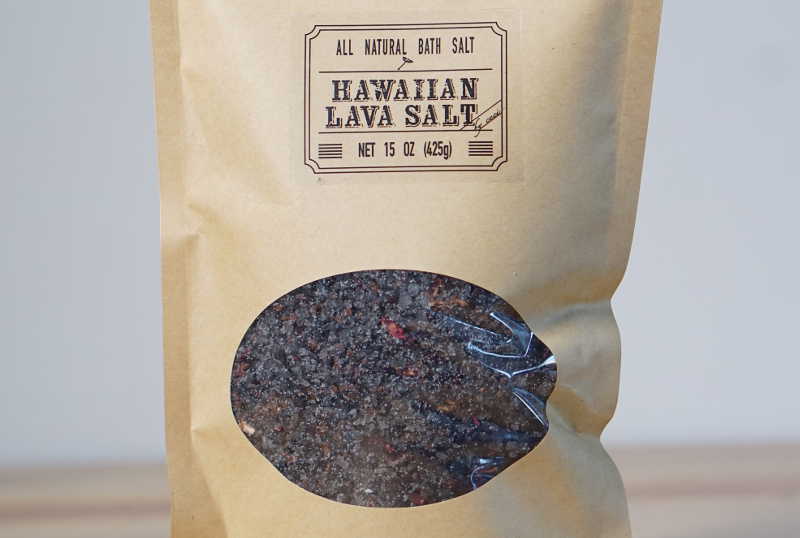 Our Hawaiian Lava Salt is a true power salt blend. 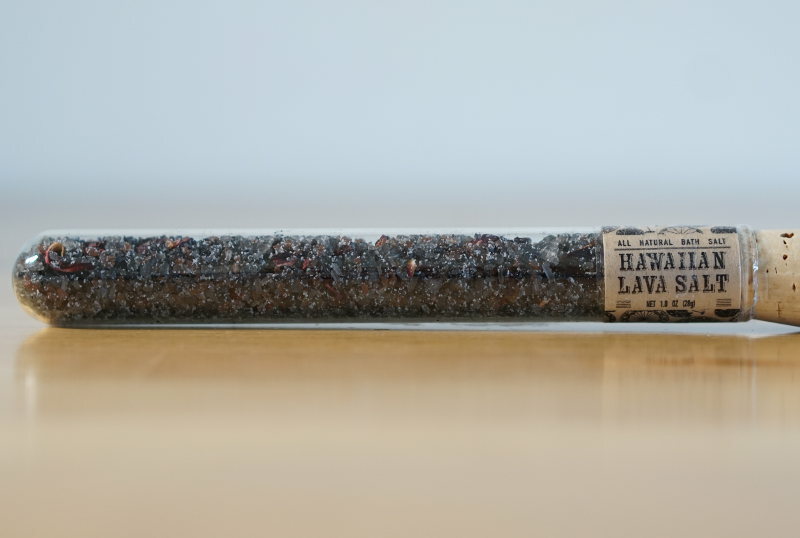 Black Hawaiian Lava Sea Salt, infused with pure activated coconut-shell charcoal, with its great skin detoxifying properties, is paired with Red Alaea Hawaiian salt which is infused with volcanic clay, rich in naturally occurring trace minerals, including iron, which gives it it’s extraordinary natural red hue. We then added coconut milk, organic coconut oil and organic hibiscus flower to make this little Hawaiian escape complete. Our bath salts are perfect for enjoying the ultimate aroma bath experience. Add some scoops and relax your tired muscles in this calming and soothing bath. Or add some coconut oil to transform this into a wonderful salt scrub. This Bath Salt comes in a recyclable natural kraft stand-up zip pouch with window. Perfect refill option for our Bath Salt Jars. All Natural. Naturally scented by flower blend and essential oils. 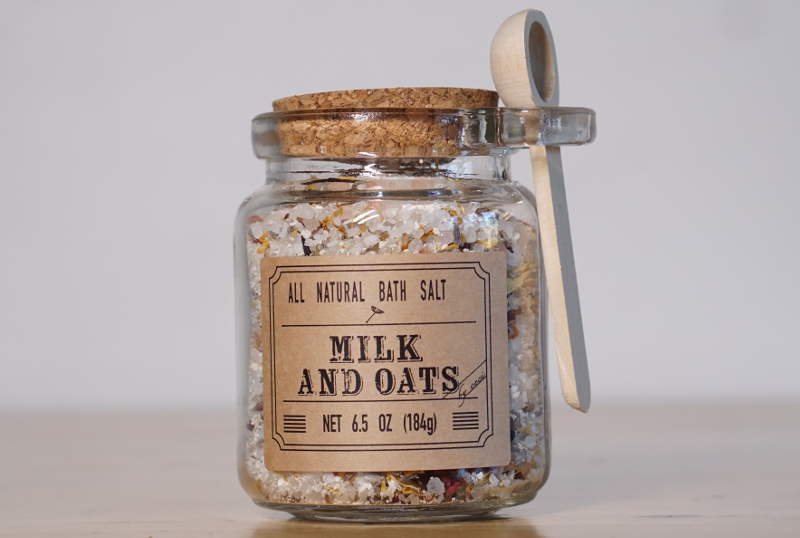 This Bath Salts come glass jar with cork and little wooden scoop. 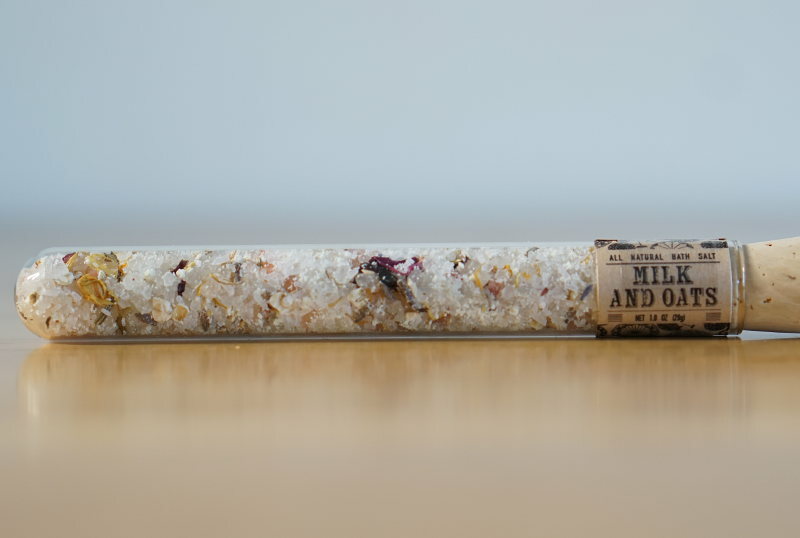 This Bath Salt comes in a glass vial with cork top. It makes a perfect special little gift. Our blend of dead sea, epsom, and pink himalayan salts will give you the needed mineral boost and make you feel alive again. Milk and oats have been added for a truly royal treatment, garnished with a blend of flowers to nurture your soul. Cherish yourself and make this your comforting routine. 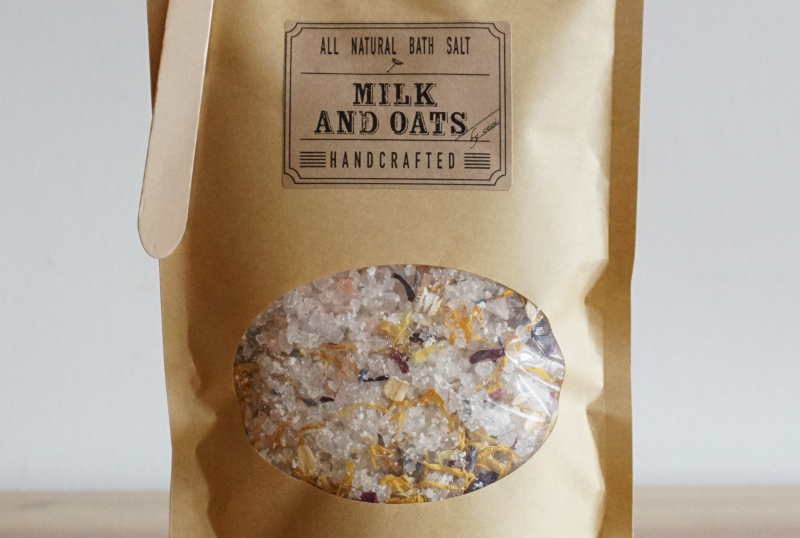 Our Bath Salts come in a recyclable natural kraft stand-up zip pouch with window. 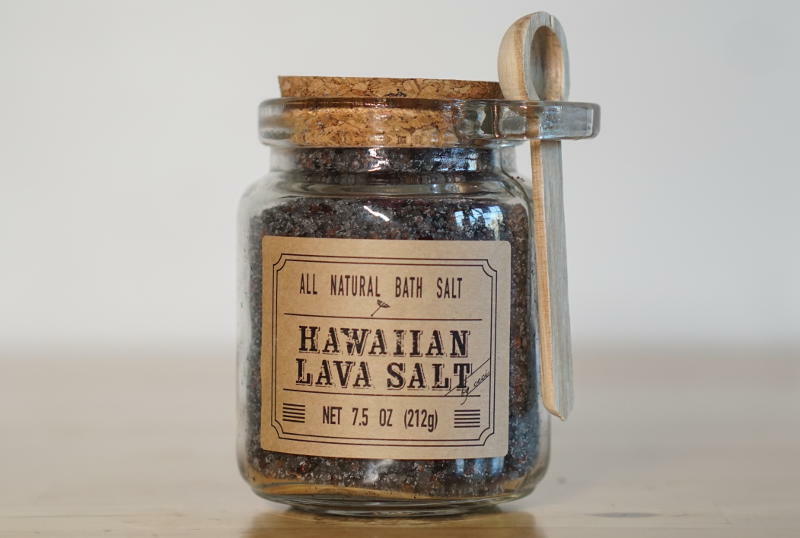 Perfect refill option for our Bath Salt Jars. All Natural. Naturally scented by flower blend. 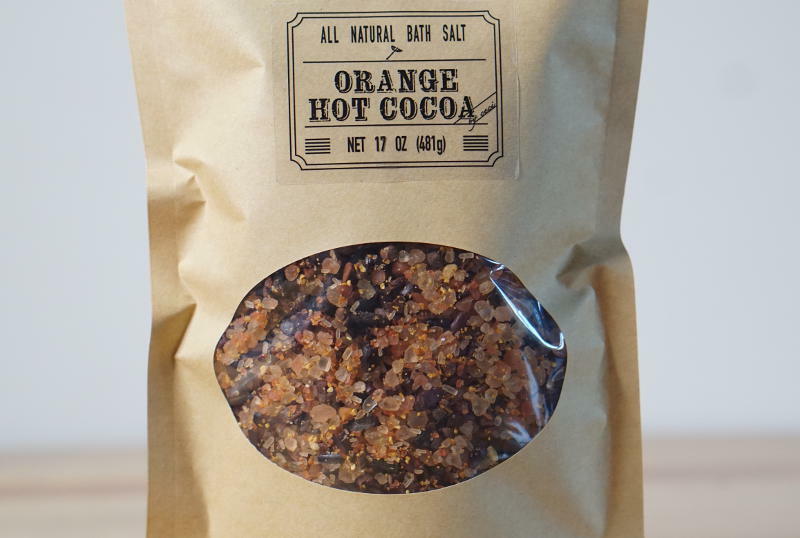 This beautiful blend of Pink Himalayan, Hawaiian Red Alaea, and Dead Sea salt with organic orange peel, cacao nibs and cloves makes the perfect bath for those dark cozy winter evenings where you just want to shut down the world around you and take some well deserved me-time. 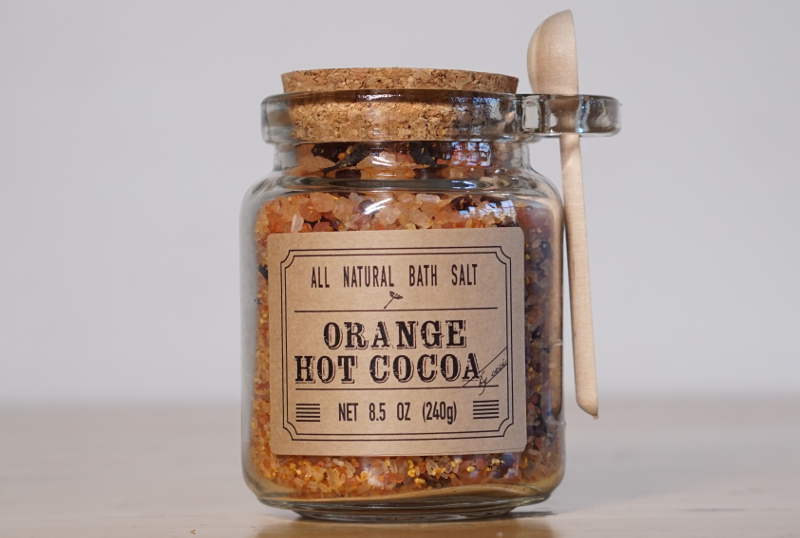 This delectable aromatic essential oil blend takes hot cocoa seriously. Who said hot cocoa is just for children? 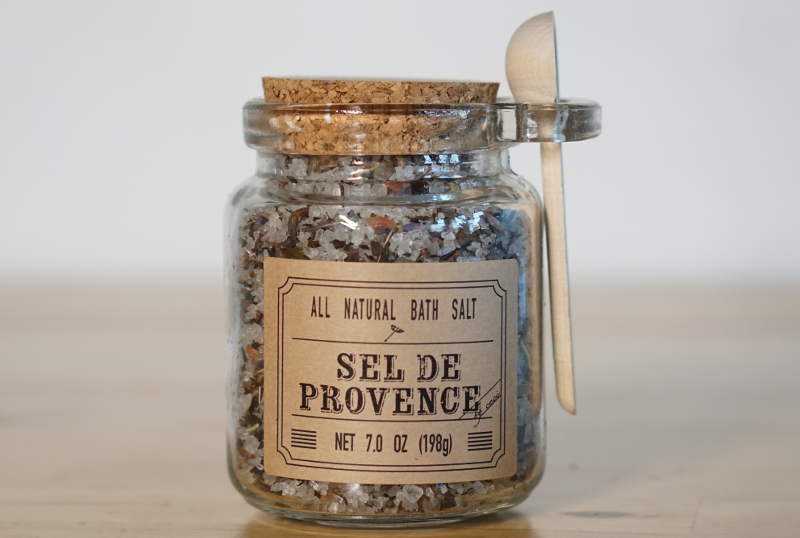 Let yourself be transported in the charming French Provence with this fragrant bath salt. The fantastic dance of Lavender, Rosemary and Peppermint is complemented by a collection of the finest salts of the world. 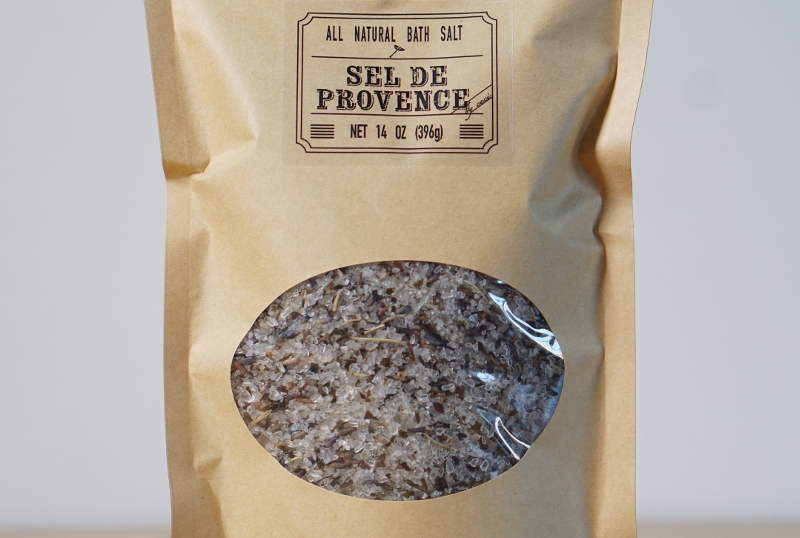 Le crème de la crème being Sel Gris de Guérande, an esteemed french salt formed when sea water flows into the French Guérande Marshes during high tide. 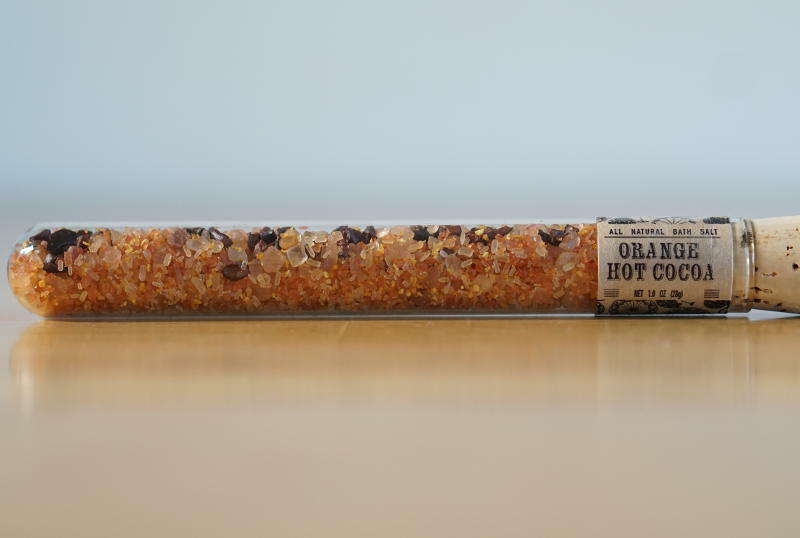 It is hand-harvested by salt workers, using methods over a thousand years old. 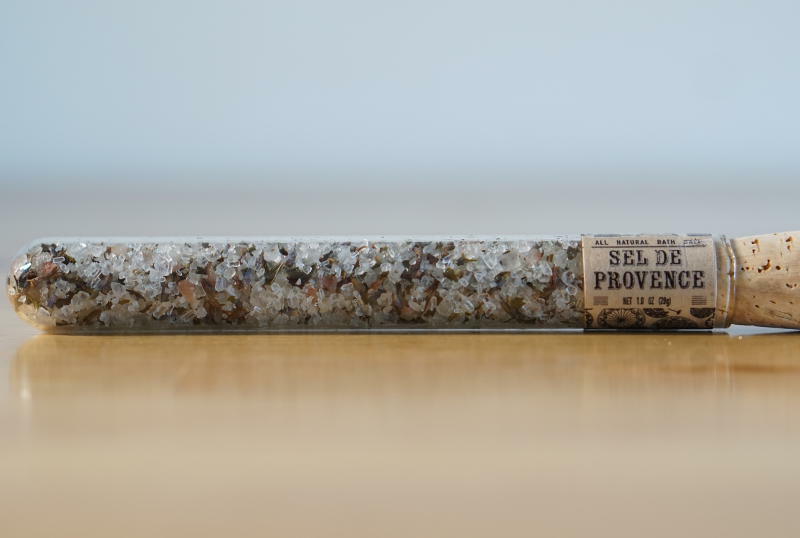 Sel Gris de Guérande obtains its natural grey coloring from the salt crystallizing on clay, which makes it dense in flavor and nutrients.